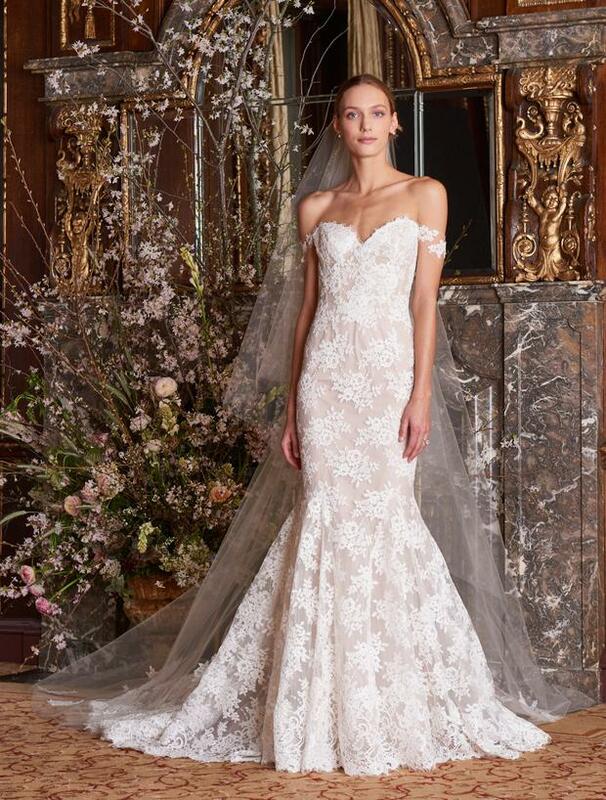 Monique Lhuillier's signature is romance, so it's no surprise her new collection is fit for a modern day 'princess bride'. Airy A-lines and subtle fit and flares were tailored to perfection, with exquisite fabrics creating that crisp feel the couture designer is known for. Monique Lhuillier shows others how to do the off-the-shoulder look - a huge trend carried forward for 2019 - without compromising on elegance or precision. Delicate appliqué and sumptuous lace drop softly, looking perfectly 'done' and adding a whimsical flourish to the most elegant silhouettes. There's a hint of old Vera Wang to the collection, carrying through the styles from the early 2010s when the designer was at her height. 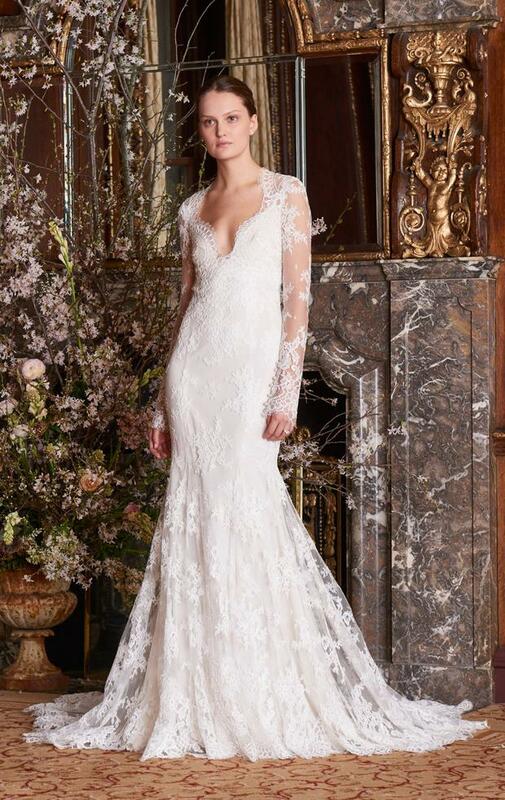 Of course more up-to-date elements are added with sheer bodices and deep plunging necklines, long lace appliqué sleeves reminiscent of one Kate Middleton's now iconic 2011 wedding dress.